WASHINGTON—The United States reached a deal with the United Arab Emirates (UAE) to resolve a three-year dispute over unfair competition by airlines Etihad and Emirates. 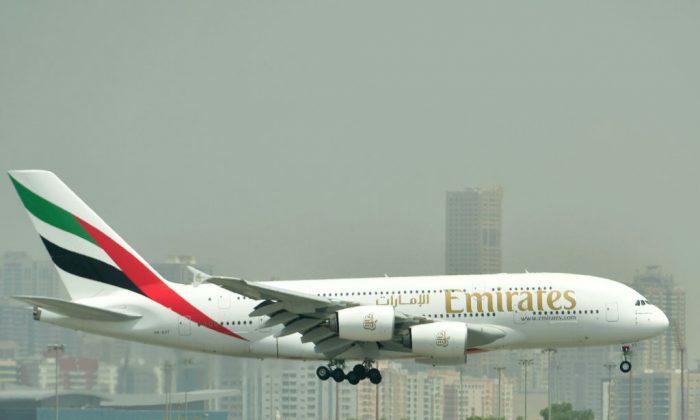 The agreement announced on May 14 will end the UAE’s unfair subsidization of its two major airlines and level the playing field for American carriers. In January, the Trump administration struck a similar agreement with Qatar to address unfair competition created by the government-owned Qatar Airways. Major U.S. airlines and their union partners welcomed the news and applauded the Trump administration’s efforts to address trade violations by the UAE and Qatar. White House trade adviser Peter Navarro called these agreements a big win for American workers and businesses. “By addressing the concerns of these U.S. carriers and standing against unfair trade practices, President Trump is keeping candidate Trump’s promises at a record pace,” he said at the Hudson Institute, a Washington-based think tank on May 21. He accused the Obama administration of turning a blind eye to the violations. The governments of the UAE and Qatar, in breach of their obligations under “Open Skies” agreements, have provided more than $50 billion in subsidies to their state-owned carriers since 2004, according to the U.S. airlines. With the subsidized support, Etihad, Emirates, and Qatar Airways were among the fastest growing carriers in the world and had expanded routes into the United States, distorting the market and hurting U.S. jobs. More than 1,500 American jobs are lost for every long-haul route forgone by U.S. carriers, according to industry estimates. “Today marks a truly significant moment in a yearslong pursuit of a level playing field for Delta and other U.S. carriers,” Delta Air Lines CEO Ed Bastian said in a joint press release from U.S. carriers on May 14.